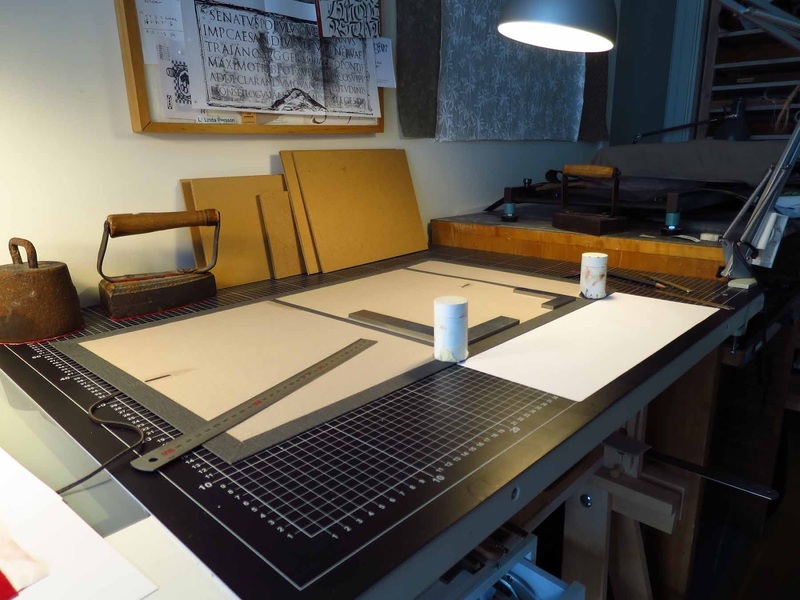 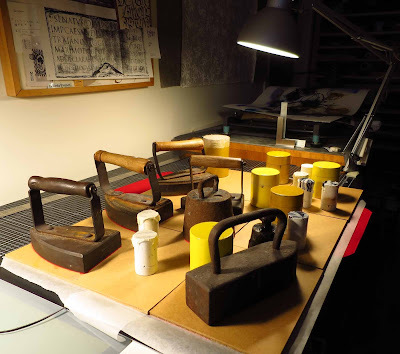 I have had a slow start in the studio after the long summer vacation but now I'm up and running again - lovely. 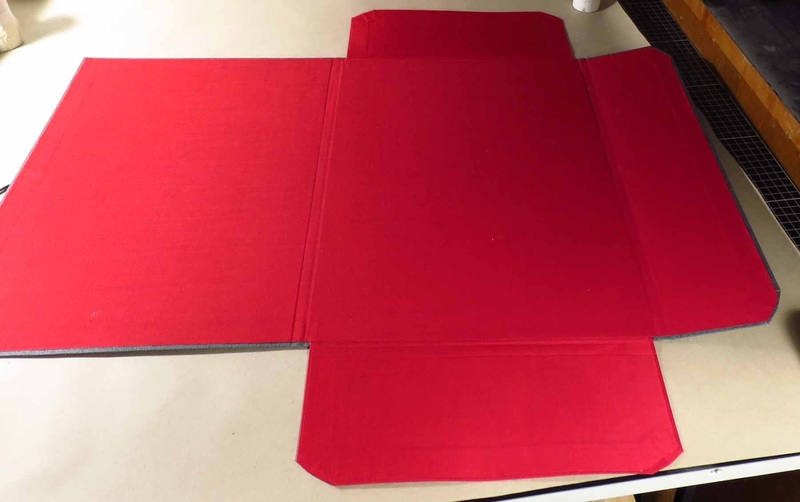 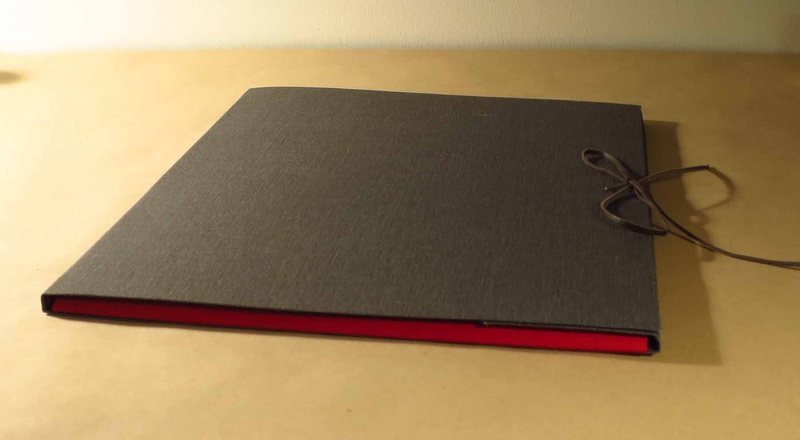 I have made an A3 folder covered in grey cloth and the inside with red cloth and a leather strap to hold it together. It was a little tricky to work with such large cloth pieces, and the red cloth is very sensitive for glue stains.